Mobile advertising is a nightmare for most of the advertisers due to lower revenue and the CTRs (Click through Rates) are making it difficult for them to survive in the advertising market. It is important to maximize the monetization of the apps with high fill rates and premium eCPMs. Becoming an app developer has become one of the exciting fields to be in, as millions of users are using smartphones for accessing information, for entertainment and shopping and many more other activities. Despite of the intense competition in the app store, the marketers and the advertisers always may not get a chance to monetize their apps well. If you an app developer or you have an app of yourself, then you might be thinking of the ways to use the most common sources of app revenue, In-app advertising. Few of the marketers and advertisers are aware of this term. A few years back, it was obvious to put some ads on the app for app monetization, but now this does not work. The revenue of In-app advertising across markets is rising and it will continue to rise as the advertising takes more budge from the traditional mobile. Here are some of the points that need to be kept in mind while the advertisers go for in-app advertising. Measurement is a big problem with the in-app ad space. It is difficult to capture the data that is needed to see the impact of a given in-app ad placement. It is necessary to set the strategy across all platforms to see the rankings and revenue. The publishers mostly under spend seeing the difficulty in assessing in-app advertising ROI. Ad formats need to be specialized as they play an important role in many online platforms. It makes it possible for the brands to use the high quality creativity across other sites and network. The format for in-app advertising is fragmented due to the versatility in the screen sizes of the smartphones and tablets. Native ads have also posed a challenge to the in-app advertising across various different types of apps. Ad format standardization is very important to survive in the ad world. There are very less number of mobile apps that manage to attract the login accounts which is essential for user-specific tracking across different platforms. There are no good methods for device-level tracking. It is important to track the individual users on the desktop, across mobiles with different screens. Geofencing and proximity-based marketing is necessary for the in-app advertising. The placement of the apps on the screen is very important as it will make the user click on it in a better and easy way. The ads that are poorly placed lead to low CTRs and bad ratings. There can be a variety of ads that can show in an app. It is possible that the user just disable those ads from appearing. The developers don’t necessarily want ads in the same category, but some of them don’t mind it to have the ads in the same category. Paid apps and the fermium apps are the most common types of apps and these are the most familiar methods of monetization of apps as well. In paid apps, the users can directly purchase the app from the app store and they pay a one-time fee only. This method has resulted in higher revenues till now, but it is not the most profitable method. Freemium apps are also one of the most familiar and best methods of monetization. Users can download the app for free, but in order to access the full features of the app, they need to purchase the app. These apps make more money than the paid apps. In-app purchases and the advertising are not stand-alone methods of monetization of apps. These can be combined with the paid or free apps as well. Free apps are working better than the paid apps with the in-app purchases. It is the single biggest revenue source for most of the developers. Games are the biggest trendsetters in this, though other app categories are making their headways. 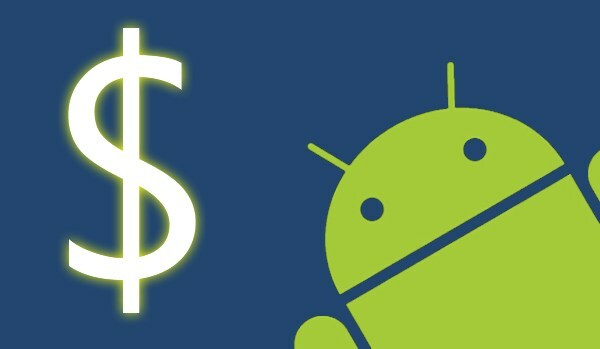 There are 5 different ways the developers can monetize their apps. Most of the developers provide major functionality through in-app purchases and they are failing. Others are using more innovative ways to provide amazing features to the users in order to make the purchase. It is necessary to estimate the percentage of the apps, if the developer is offering in-app purchases. The integration of in-app purchases in the app is fairly straightforward and can be done in just an hour. Here are the steps for doing this. Understanding the features that can increase the monetization is very important. Small features in the app can improve the monetization in a better way. After understanding the features, the next step is to add the in-app purchases code in order to unlock the content after the user is done with the purchase. The last step is to add the in-app products to the dev center. It is advised that it is the time to start monetizing your app. The process should be started even before the app builds and deployed. The platform for the app should also be decided in advance so that the monetizing can happen accordingly. IOS is very different from Android and it is important for you to check in advance such big platforms. The user experience needs to be kept in mind while installing the ads in the apps. At the end, different approaches need to be tested well and find out what is best for your app. The proper steps will definitely help you improve the income you are getting from your app. Chirag leuva is the CEO of Yudiz Solutions, an Android game development firm; where he works to bring client ideas to reality. He enjoys pushing the limits of user interaction and finding ways to create awesome reusable components within a mobile environment.